Perfect For Halloween, Costume Parties & Everyday Play! The Deluxe Ninja LED Sword is the perfect sword for a modern Ninja SamuraiWarrior! The handle is silver and black and the blade is a transparent blueplastic. Use this amazing LED sword at your next party. It is the perfectaccessory to light up a costume. 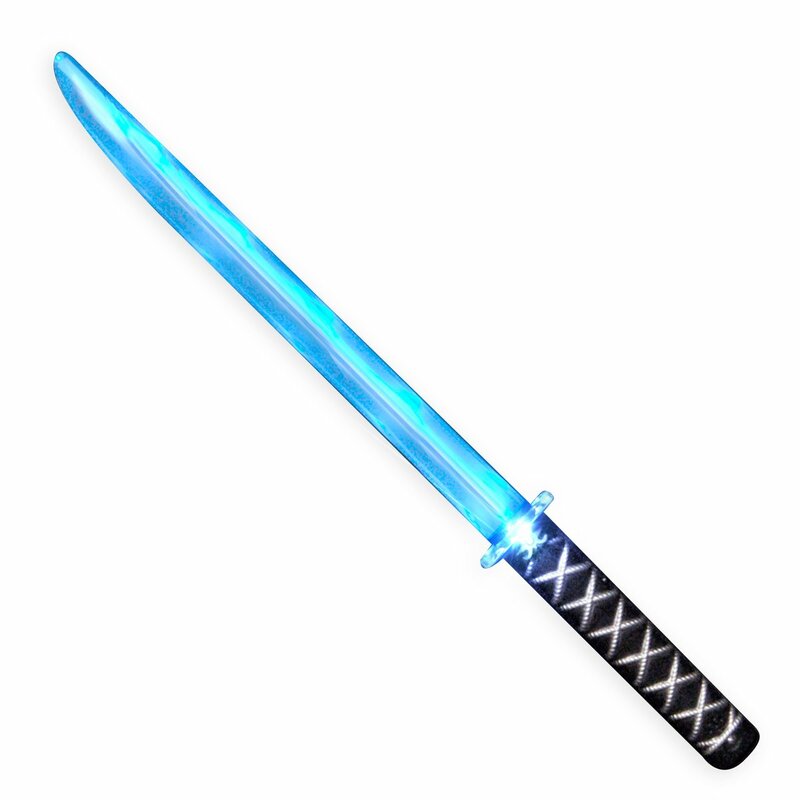 With the push of a button, the sword isactivated and the blade will light up blue while two LEDs at the top of thehandle will blink in blue and red. When the sword is moved through the air ortouches an object, it will make sword clanging sounds. Instructions: Removethe plastic pull tab from the LED sword, then press the button located on thehandle. Pressing once will activate the LEDs and pressing twice will turn offthe LEDs.